Over the years the Knight family added on to the building and continued to expand in ways to provide better facilities for the community. The original building was built in 1915. 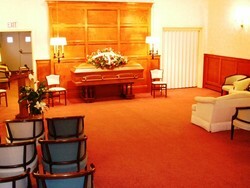 The casket selection room, family lounges and first chapel were added in 1925. 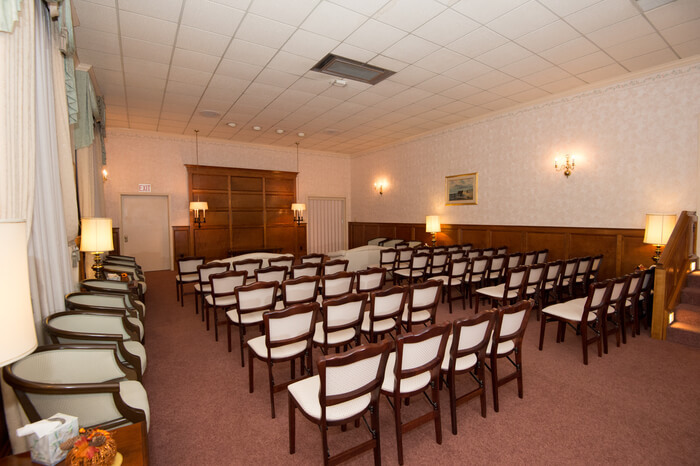 This was the first chapel in the area as most all funerals were held in the home or at the church at that time. In 1976 the second chapel and new front entrance were added, enabling us to hold two large visitations at the same time and have enough room for both families to be comfortable. We have nearly 50 off street parking stalls. With these and all of the on street parking surrounding our lot we can accomodate large visitations or services very well. Since 1985 many changes have occured: an activities room with a game computer, games, toys and books for children and youth to use while parents and grandparents make arrangements or hold services; dvd videos of the deceased, which create a lasting tribute of the deceased for families to treasure forever; updated casket and urn selection room, including pet memorials; additional paved parking areas; expanded office space for computers, printers, fax machine, copier machine and additional staff; and lots of paint, wall paper and carpet to continue to keep our facility the finest one available.